This is a vintage comm/nav radio that I began working on last week. 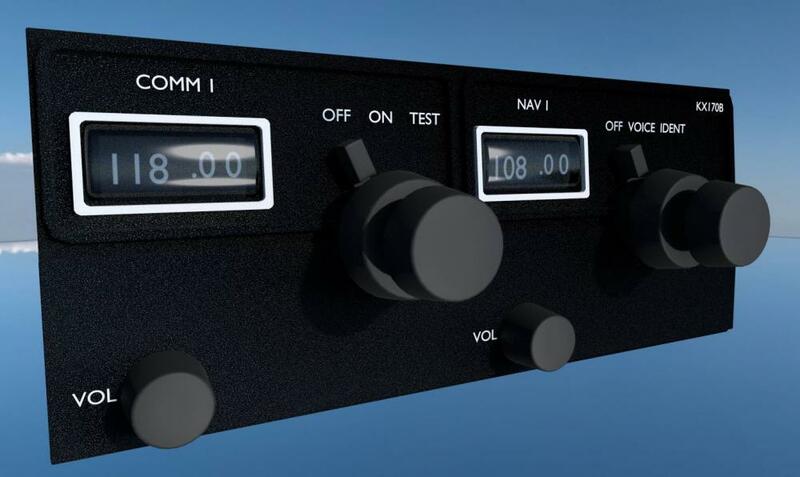 I decided I'd like to make a (relatively) simple component that any other X-Plane developer/user could implement into any aircraft of his/her choosing. This will be a 100% free add-on, but you will be free to use this in payware if you would like. I have essentially no previous x-plane development background, and I honestly don't really know what I'm doing, but I know the desired result I'm after. Which brings me to why I'm even starting this thread; I can model things in 3D, but like I said, I have virtually no experience actually implementing my creations into X-Plane. I have the most basic understanding of X-Plane development (I kind of understand the whole dataref thing), and I have spent a total of approximately 70 minutes importing Blender 3D objects into X-Plane. So, I am looking for hints, thoughts, opinions, etc. on how to produce something like this. 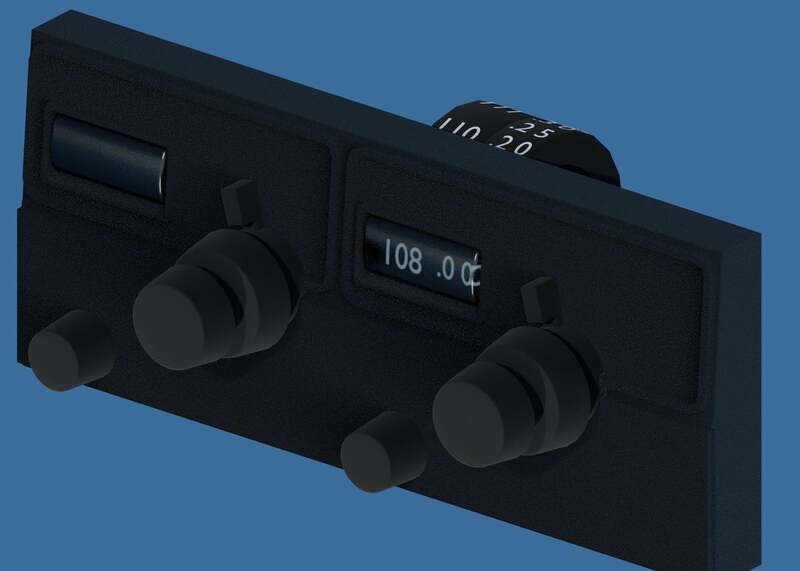 All it needs to be able to do is show physical movement of the numbers when the knobs are turned, and (obviously) actually change the radio frequencies in X-plane. This is an extremely simple radio system compared to more contemporary systems, which means it should be fairly easy to make this radio fully simulated (every knob does what it should). 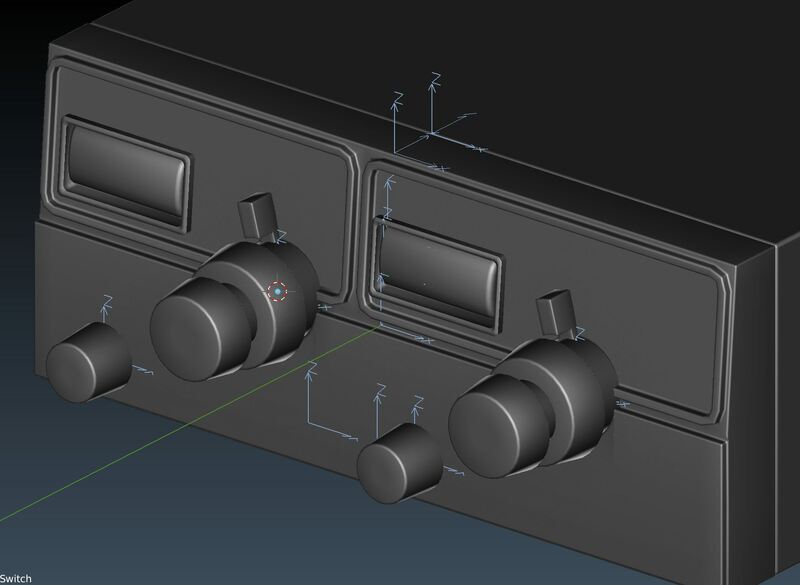 As you can see, the 3D modeling is not complete, but I hope to have it finished soon. I'll also be tweaking the textures to make it look worn, but I'll include "factory new" textures as well. To summarize the plan here, I want to make a radio that can (in theory) be used in any X-Plane aircraft. It must look and behave realistically. And it will be free, but can be included in payware. To achieve the physical effect of rotating the dials, I opted to simply construct a couple cylinders with some numbers placed on them. I added a bit more, but all of the writing right now is only bender text objects, so my next step is to make a set of textures for everything and put the writing onto the textures. Once the clean textures are finished, I'll make a set of worn textures. Looks great! Definitely interested in seeing this in a few aircraft. 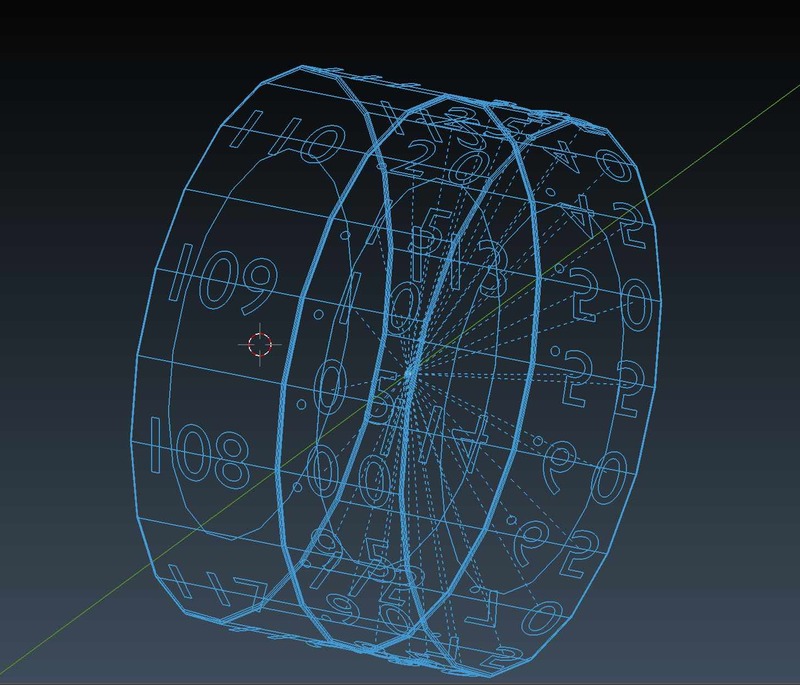 I'll have to figure out how to program the large number wheel to rotate 36˚ for every 360˚ that the small number wheel rotates. If you guys know of a simpler method, feel free to share it. Does that actually happen in the real one? As far as I can see pretty much everywhere a frequency is tuned the parts controlled by each wheel are entirely independent.